Have you heard the rumors? The Society of Visionaries, which began at the 2010 National Conference and Annual Meeting in Denver, will host its first Visionaries-only gathering at Keeneland Racetrack and Darley Thoroughbred Farm in Lexington, KY, on November 12, 2011. 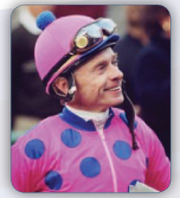 By joining the Society of Visionaries, you can meet legendary jockey Chris McCarron and see stallion Holy Bull, as well as other famous stallions. Click here for more information on how you can join us at this exclusive gathering in Lexington or to learn more about the Society of Visionaries. We're counting down: 50 days to the PATH International Conference kick-off! 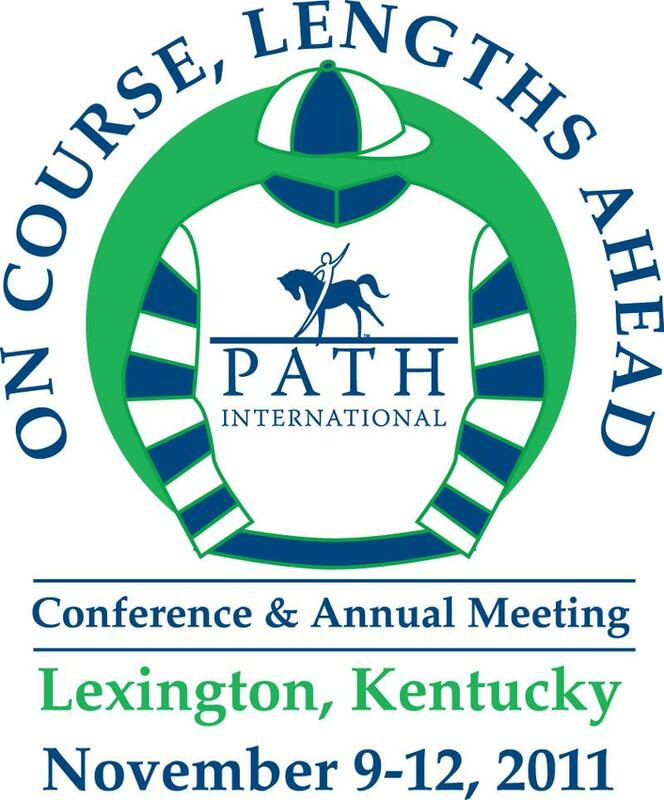 Registration numbers are adding up daily, and we are excited that this year's conference, sponsored by Purina, will be the best attended conference in PATH Intl. history! Be sure to sign up now for your sessions if you've already registered. Click here for the digital registration book or here for information on the conference. For information on hotels, airline discounts or the roommate list, visit the conference web page. If you haven't registered yet, don't wait! You have until October 21 to register online, and then registration goes to onsite only. Click here to register. If you have any further questions about registering for the conference, please contact Karen Province or call her at (800) 369-7433, ext. 111. Imagine a world where you are offering a service or product and it is no longer limited by time, space or matter. Businesses develop digital and virtual realms that do not require the physical universe as we know it. Interestingly, however, even in the virtual universe, community remains intact. In this "experience" economy, the experience supersedes the physical nature of any customer transaction. In other words, the human desire for community over-rides our need for physical reality. For example in the virtual world of gaming, people still can compete, collaborate and connect. The explosion of social media tools, such as Facebook, Linked-in and Twitter, provide evidence that people will find ways to connect and create community. PATH Intl. is planning to provide their communities with the organizational tools and resources to support virtual connections, via an electronic platform, as well as more traditional methods of people coming together. Part of the responsibility of the PATH Intl. communities work group is to identify the priorities and needs of the membership. We could use your help in determining the best ways to construct the framework for communities. Please share your ideas and feelings about what would serve you best as a community member by contacting one of the following work group members or a PATH Intl. staff member: Chair Tracy Weber, Jen Donahue, Karen Kersting, Shannon Knapp, Kali Welch or Tanya Welsch. Read more to learn about this exciting initiative and those individuals paving the way. New State Chairs for PATH Intl. Jenny Nell was recently elected as the Wyoming State Chair. 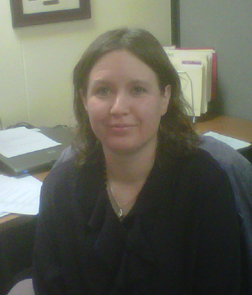 Jenny will serve a term of two years, from January 1, 2012, to December 31, 2013. She has served as a Region Representative and on several PATH Intl. Committees and was the program director for Little Bit Therapeutic Riding. Region 3 recently named several state chairs as well. Denise Bishop is the South Carolina State Chair, Melissa Conner is the Virginia State Chair and Beth Rine is the West Virginia State Chair. To contact any of the state chairs or region representatives, visit the My Region page on the PATH Intl. website and click on your region. There are many valuable resources available to you as a PATH Intl. Member on the PATH Intl. website. The My PATH Intl. Membership page contains links to the PATH Intl. Standards for Certification and Accreditation, Member Directory and renewal information plus other valuable information. As a center member you can access the Foundation Directory Online, download the PATH Intl. logo and link to the PATH Intl. Standards for Certification and Accreditation from the My Center Membership page. To access the membership area and your full benefits, you must first log in to the website. For centers to access the My Center Membership page, log in under the center's primary contact or executive director's individual accounts. We at the PATH Intl. office are pleased to introduce you to Madelin Schlenz, CEO Kay Green's administrative assistant. Madelin worked as an administrative assistant for 14 years at the Denver Museum of Nature and Science. She is excited to be working in a small, nonprofit environment devoted to the love of animals and the use of alternative therapeutic activities. Madelin does not ride horses, but she enjoys her kitty Spooky, who provides purr therapy. She hopes to learn more about horses and therapeutic horsemanship in this new adventure. We received this email last week and wanted to share it with you. I've been using your resources page and just wanted to send some feedback and let you know I found it very helpful. As of last June I am now retired from teaching. I was used to having the summers off, but now I'm growing a little restless and wanted to volunteer my time to a good cause. Anyway, I found out about equine therapy for the disabled through your site, and being a horse-lover I was immediately interested in learning more. I'm excited to say I'll be helping out at a local stable 2-3 nights a week! If you have never taken the time, visit the PATH Intl. resources page. There you will find information on workshops, certification, education, publications and links to other organizations in the EAAT industry. This workshop and certification are offered just before and up the road from the PATH International Conference November 9-12 in Lexington, KY.